Brief Synopsis – A teenager who is part of a gang in the midwest in the early 60’s, tries to find meaning and direction in life as his world begins to change around him. My Take on it – As a kid, I read this book a few times and watched it over and over on HBO. I haven’t seen fhis movie in 6 years but I recalled just about everything that happens and it felt very nostalgic to watch it again and see these characters that I use to love so much. I am still amazed at how the entire gang of ‘Greaser’ actors would go on to have very prominent film careers. 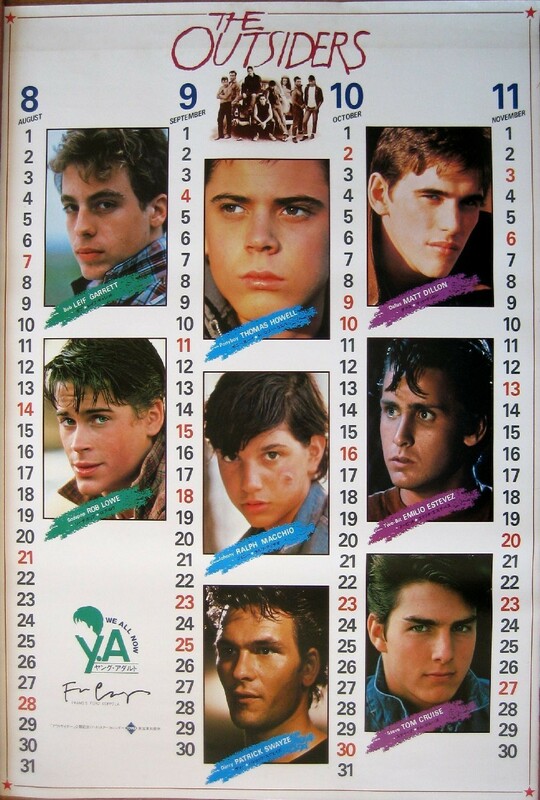 Just look at the cast- Matt Dillon, Patrick Swayze, Rob Lowe, C. Thomas Howell, Tom Cruise, Ralph Macchio, Emilio Estevez Lief Garret and Diane Lane. Can you even imagine a better lineup in the 80’s? Bottom Line – Excellent coming of age film baeed on an even better book. Very nostalgic for me. Unbelievable cast who all made it big afterwards. Highly recommended! In eighth grade, my English class read the book and saw the movie. I agree that it was fantastic.